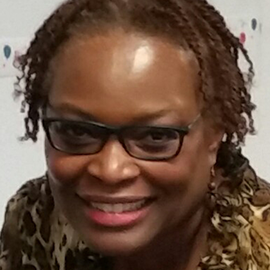 Deborah C. McBroom has worked with the Prince George’s County, Department of Family Services for 26 years. She has spent 20 of those years with the Aging and Disabilities Services Division. In addition, she has worked as the coordinator for the Senior Information and Assistance Program and the Family Caregivers Program. Ms. McBroom currently services as the unit manager for the Prince George’s County Aging and Disability Resource unit. Ms. McBroom’s previous work history includes medical discharge planner, and family preservation counselor. She has a bachelor’s Degree in Social Work and a Master of Public Administration Degree.